CUFCE Equivalency - Ballsbridge University , Quality Accredited Education, Promoting Lifelong Learning and research,MBA, PhD. DBA. ..
Ballsbridge University has accepted its affiliation with California University FCE which is organized under the California Non-Profit Public Benefit Corporation Law for public and charitable purposes. California University FCE is a legitimate Elementary Education and Higher Education Assessment Institution within the State of California Educational System. The purpose of this affiliation is to enable students and graduates of Ballsbridge University System including Poma International Business University, Oxford university of Namibia and its affiliated Institutions to apply for assessment and evaluation of their foreign studies and degrees in comparison to credentials awarded by nationally and regionally accredited U.S. institutions. To evaluate foreign academic credentials and professional experience. To evaluate and integrate all academic credits earned from various schools, colleges, and universities from abroad and within the U.S.A.
To determine if these credits fulfill the requirements for graduation with a baccalaureate, master’s or doctorate degree. To issue certificate and diploma equivalency (high school to doctorate degree). To do a course by course evaluation for licensure, immigration, and transfer credits to any regionally accredited colleges or universities in the U.S.A.
California University FCE has agreements with various colleges and universities to have CUFCE assessments of Adult Education studies accepted for College Degree Programs. California University FCE program structure is in part similar to programs at some U.S. Universities. California University FCE does not issue college degrees per se, but degree equivalency, which requires the same scope and breadth of knowledge as someone who has actually completed a nationally or regionally accredited college program. Moreover, California University FCE was commissioned to do curricula and program evaluations of some U.S. colleges and universities that applied for national accreditation. 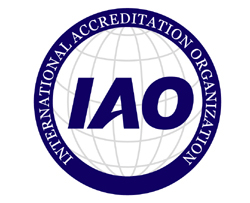 Most of its clienteles were granted national accreditation. It has also evaluated the curricula and programs of some member-universities of the Global University Network for Innovation (GUNI) of UNESCO. GUNI is under UNESCO and the United Nations University.